Yes, Goats get sick too...here are some aids that I've found helpful. Our 'go to' site is Tennessee Meat Goats. I have found this site extremely helpful with various issues around the farm. You will find that just when you think everything is going so well, a goat will get sick and surprise you. These resources are nice to have access to. Another valuable site is Goat-Link which has supplied so much information for me to graze through. It seems to have the answer to almost all of my questions. Here's a link on the medicine cabinet. 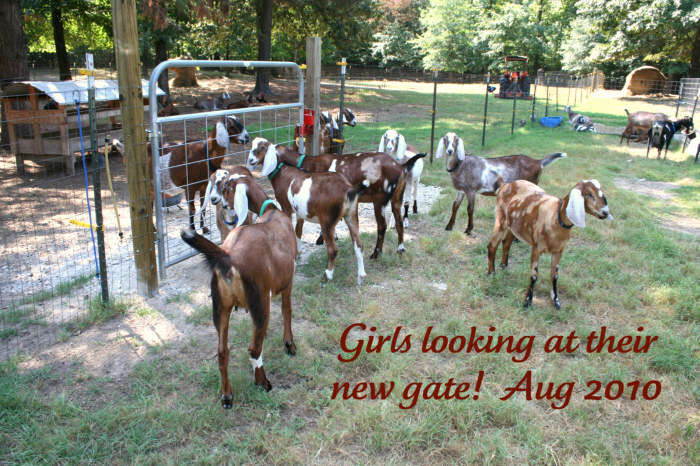 Molly, at Fiasco Farm has provided the internet community with a wealth of holistic practice information for goats. She has turned her herd around using chemical free solutions for the most part. I applaud her efforts to help others within the goating community with all of this information. When I first started raising goats, I printed out the entire section on kidding for fear I would miss something. It got me through...thank you Molly. Please feel free to browse this information and if you find it helpful, she takes donations via pay pal. Kat at Fir Meadow Dairy has a full line of natural herbal remedies for man and beast. We had a goat that was very sick and her 'GI Soother' and 'Better Days formula' helped pull her through.